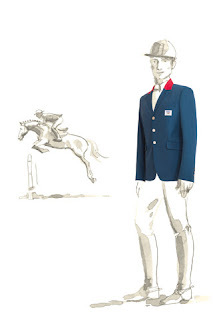 Hermes has created the French Olympic Team’s uniform ahead of the opening of the Olympic Games on Friday. The French brand is kitting out the riding jackets to be worn by both of the show jumping and evening team. The jackets Hermes has created for the team has been made using flexible technical fabric to ensure the team can move comfortable without the jacket being too stiff along with, being very light.